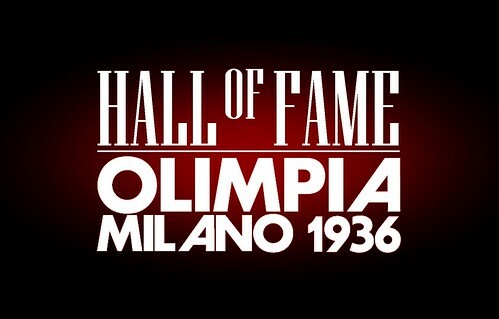 Olimpia’s Hall of Fame: here we go! Five World Hall of Famers in Springfield, right where basketball was born at the end of the 800s. And it’s just a statistic, because in fact Olimpia wrote many pages of basketball history, in Milan, in Italy, all around the World. To make sure the history is right here, we decided to create our own Hall of Fame, to pay respect to our past, our roots, just like it did by retiring Arthur Kenney’s number 18 jersey recently. Some rules apply: 1) to be inducted a players has to have cease his playing career (so you know why Danilo Gallinari is not in, yet) and after leaving the club for coaches and executives (Flavio Portaluppi is in as a player of course); 2) the doors are always open: the list of the inductees is the result of analysis and opinions shared by some great Olimpia Hall of Famers and basketball experts like Sandro Gamba, Dan Peterson and Franco Casalini. But everything is still open to consideration; 3) skills, efficiency, level of talent and wins were not the only elements taken into consideration. Public perceptions, charisma on the city and the basketball world have a role too, Bill Bradley played just 10 games only in European competitions but the title won in 1966 is associated to him so he’s in, like JB Carroll who stayed in Milan for less than one full season. In the next few days will show here on the Home-Page all the Olimpia’s Hall of Famers but if you want to skip the wait you can go directly to the “Hall of Fame” timeline inside the “Story” section.